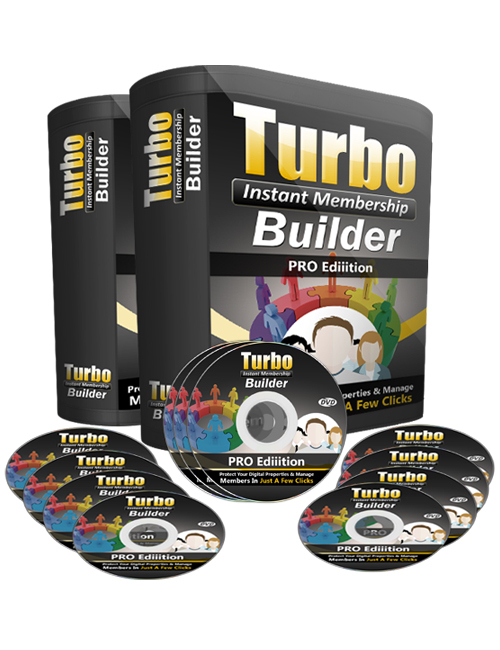 Turbo Instant Membership Builder is the software download that shows you how to protect your top expert digital properties and manage your select members with just a couple of clicks! If you are serious about building your online presence strong you’re going to need to the top tools to help you. This download gives you the knowledge and ability to help drive qualified members to your top niche website for purchase. It goes without saying the sooner the better with online business. And the quicker you can tap into your niche market and draw attention to yourself, the faster you are going to increase memberships and make more money. When you have more memberships you will naturally increase rank, boost credibility, strengthen your authority and brand and ultimately drive your conversions up. That results systematically in more sales. Gone are the days where you can slap up a website, slap on some PLR and start making money. If you are serious about establishing your solid online income stream you are going to have to take action with this instantaneous tool. Turbo Instant Membership Builder is your solution to building your membership audience larger faster.